Throughout the 20th and 21st centuries, stocks have been one of the best-performing asset classes, and have reliably turned dollars into millions. Investors happily buy them when they’re expensive, and fearfully sell them when they fall in price during a recession, and end up under-performing the very average they’re trying to beat. This guide helps you get started investing by showing how to invest in stocks, including index funds and individual stocks. With dividends reinvested, every dollar invested in the S&P 500 in 1900 would be worth over $50,000 today. That means for every thousand dollars invested, it would be worth more than fifty million dollars. Every dollar invested in 1950 would be worth over $1,200 today. Every thousand would have become more than $1.2 million. And, every dollar invested in 1990 would be worth over $15 today. Any amount of invested money would have increased fifteen times over. On an inflation-adjusted basis, it would still have increased by a factor of over seven times. If you’re looking for how to invest in stocks for exponential returns and serious wealth-building, this guide will help you get started. Investing vs Speculating: What’s the Difference? Sometimes, a privately-owned company wants to acquire a lot more money so that they can use it to grow. So, they can break their ownership into a number of shares, and sell some of those shares to an investment bank, which then does an initial public offering (IPO), and sells those shares to the public on a stock exchange. The company now has a lot more cash that they can use to rapidly expand, and a more broadly distributed ownership structure. Investors across the world can then freely buy and sell shares of stock between themselves. The shares are listed on a stock exchange, which is a market for buying and selling stocks. Shareholders get to vote for the board of directors to run their company, and can also submit and vote for shareholder proposals to let the board know their opinions. To invest in stocks, you’ll need to open a brokerage account. I use Fidelity Investments, Charles Schwab, and M1 Finance, but there are many other good ones as well. 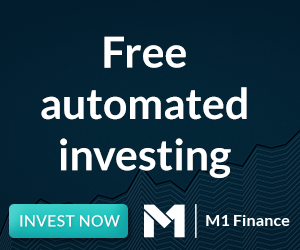 For most people, I recommend M1 Finance, since it’s simple, free, and yet flexible. The final section of this guide gives more detail on how to get started. Fundamental investing is when you carefully analyze a business or other type of asset, determine that it will likely produce good cash flows, and then put money into it to get a piece of those cash flows for the long-term. Performing some variant of discounted cash flow analysis is the quintessential example of prudent investment research. This academic method estimates the future cash flows that a business will produce, and then estimates the appropriate price to pay for those cash flows relative to the rate of return you’re hoping to achieve. On the other hand, speculation is a more short-term endeavor, and is based on the willingness to risk substantial losses for the hope of significant gains. It’s more based on market psychology than on analyzing actual cash flows of business. For example, the price-to-earnings ratio of a stock, or P/E, is one of the most well-known stock valuation metrics. It’s the price of a share divided by the earnings per share, or more broadly, the price of a company divided by the net income of that company. The higher the P/E of a stock, the more investors are willing to pay for each dollar of earnings. And you can average this for an entire index; it’s common to look at the average P/E of the S&P 500, a collection of about 500 of the largest corporations in the United States. Historically, the lower the P/E of the market, the more likely you are to get good returns over the next 5, 10, or 20 years if you invest at that time. This is because you’ll make money both from the earnings growth of those companies, and because the price to earnings ratio will likely increase. And it only gets better from there; taking it out to ten years makes it an even more reliable predictor. And using more sophisticated market valuation metrics like the cyclically-adjusted price-to-earnings ratio, or the market-capitalization-to-GDP ratio, can improve the long-term prediction further still. Usually during recessions, when everyone is fearful, nobody wants to invest in stocks, and the average P/E is low. During bull markets, everyone is excited and wants to invest in the stock market, and so the average P/E is high. The smart way to invest in stocks is to buy when they are low. A popular analogy is that in the short-term, the stock market is a voting machine, where emotion rules, and in the long-term, the stock market is a weighing machine, where logic rules and where companies that continue to perform well will rise in price. Buying a stock because you think it will report strong quarterly results and go up in price this month. Investing in a company because it recently started going up in price, and you see a lot of upward momentum on the price chart. Putting too much of your portfolio in cryptocurrencies, penny stocks, or individual small companies. Buying a stock because you think it has a strong 5-10 year future of earnings growth, and you’ve determined using discounted cash flow analysis or some other method that it’s trading at a reasonable or undervalued stock price. Investing in a company that has paid growing dividends every single year without fail for decades, because it’s in a growing industry, has a low P/E, a decent dividend yield, a safe dividend payout ratio, and a wide economic moat. Adding money like clockwork to a diversified index fund portfolio, with occasional re-balancing. I’m a long-term investor. I don’t play the game of trying to predict what individual stocks or indices will do over the course of a year or two. When I analyze companies or markets, I’m looking for signs of how they will perform 5 or more years out. Investing in a diversified set of low-cost index funds is one of the most efficient ways to invest in stocks. That’s passive investing. You don’t pick individual stocks, you don’t try to identify which countries’ markets will likely outperform other countries’ markets, and you re-balance from time to time. The fees are incredibly low, and high fees are an enormous drain on your returns. Most people, even professionals, can’t beat the market anyway. If you can’t beat it, join it. It only takes about 10 minutes per year to manage this entire portfolio, especially if your account automatically re-balances. By investing in indices, you can waste less money on fees and spend less time on investment management. So, you can spend more time on earning more money, so that you can invest more money. If you’re interested in index funds, check out my 3 sample index portfolios. Many people who actively invest in individual stocks will spend many hours per year only to underperform, and if they do outperform by a percentage or more per year, it usually isn’t worth the hourly rate they put into doing it. However, I think some people take this a bit too far, insisting that everyone should invest only in index funds. On that point, I disagree. The majority of people that want to invest in stocks should invest primarily in index funds, but for hands-on investors there are some good reasons to hold individual stocks as well. A simple rule is that retirees or anyone else living off their retirement income should withdraw no more than 4% of their portfolio per year, if they don’t want it to shrink over time. This income method relies on selling a small amount of your stocks and bonds on a regular basis. But during a severe recession, portfolio values can fall by 25-50% or so. That means your investment income gets temporarily cut in half, if you stick to the rule. Even dividend ETFs have a pretty bad track record of reliable dividend growth because they don’t have any rigorous selection criteria. A more reliable investment income strategy is to never sell your principle, and instead live off dividend and interest income. A diversified collection of dividend-paying blue chip stocks that have historically grown their dividends even through recessions, combined with some other assets for diversification, can produce more reliable investment income and makes it so you don’t have to touch your principle. A set of well-selected blue chip dividend stocks will provide an income that grows faster than inflation, as well. Shareholders are the ones that elect the board of directors that controls a company. And every year, shareholders are allowed to submit shareholder proposals to companies they own for other shareholders to vote on. But hardly anyone actually votes in shareholder elections, and that’s because most people don’t buy and hold individual stocks for the long-term. There are all manner of shareholder proposals for companies to disclose lobbying efforts, acquire cleaner energy, and so forth, and most of them get ignored. Vanguard has over $3 trillion in equities, and Blackrock has over $4 trillion in equities. They’re the largest shareholders of most publicly traded companies on earth. The top 400 asset managers in the world collectively own over $50 trillion worth of equities. They’re the true owners of the corporate world. Most index fund companies and asset managers in general have a policy to abstain or vote no on the vast majority of shareholder proposals, and they almost always vote for board members that the board has selected, without giving much thought. For example: Vanguard voted no on a shareholder proposal for Exxon Mobil to disclose lobbying payments to shareholders, and voted no on a shareholder proposal for Pepsico to adopt quantitative renewable energy goals. They simply hold so many companies, that they can’t really get involved. If the index fund trend continues, and it looks likely to do so, what happens when index funds control Corporate America? Courts have often deemed shareholders to be in control of a corporation with as little as 20% of the ownership of a company. At current rates of asset inflows, it will not be long before index funds effectively control Corporate America and the corporations of many foreign countries. The Japanese system of cross corporate ownership, the keiretsu, has been blamed for decades of Japanese corporate underperformance and economic malaise. Large passive ownership of Corporate America by index funds risks a similar outcome without the counterbalancing force of large active investors and improvements in the governance oversight implemented by passive index fund managers. We believe that it is axiomatic that while capital flows will drive market values in the short term, valuations will drive market values over the long term. As a result, large and growing inflows to index funds, coupled with their market-cap driven allocation policies, drive index component valuations upwards and reduce their potential long-term rates of return. As the most popular index funds’ constituent companies become overvalued, these funds long-term rates of returns will likely decline, reducing investor appeal and increasing capital outflows. When capital flows reverse, index fund returns will likely decline, reducing investor interest, further increasing capital outflows, and so on. While we would not yet describe the current phenomenon as an index fund bubble, it shares similar characteristics with other market bubbles. In theory, the shareholders are the owners of the company, and the board of directors is elected by the shareholders to run the company. But usually, the current board recommends new board members to replace ones that leave, and asset managers around the world vote “yes” on almost all of them. Basically, instead of shareholders electing board members, the board more or less just runs itself and shareholders abstain and don’t pay attention. If people don’t vote for their politicians and then complain about their governance actions, then maybe they should vote next time. Similarly, if they complain about corporate behavior but don’t vote any of their company shares, and outsource all their ownership to index companies who just abstain on most things, then maybe they should own a stock or two and actually vote. Each individual vote is tiny, but they add up. If we as investors just put the market on autopilot with little governance, we shouldn’t be surprised when it doesn’t work out. “Socially Responsible Investing” is popular these days, and plenty of entrepreneurs are making good money by setting up investment products that filter companies according to some criteria. The standard index funds are, in essence, the opposite of socially responsible investing. But you know what the simple old-school version of socially responsible investing is? To own shares and vote them. Some people like to do as much of their own car maintenance as possible, and know what’s going on under the hood. Even though I have an engineering degree, I have put zero time into understanding the inner workers of my car, couldn’t fix it to save my life, and am happy to outsource it to experts. But, because I’ve always had an interest in finance and investing, I enjoy knowing what my money is doing. I want to know what companies I own, and how they’re doing. And I’m not alone in this; many investors want to play an active role in their investments, to know what they are invested in and why. If you only invest in index funds, and own a piece of thousands of companies from around the world, then your investments are very opaque and unknowable. I think the pendulum has swung pretty far towards the convenience of index funds, and it may have to swing back a bit at some point. I view it like the proliferation of processed foods- for several decades, processed foods have grown in popularity, due to their cheapness and convenience. But as a consequence, we became very detached from our food, obesity and diabetes rates utterly skyrocketed, our soil is reduced and damaged, we’ve badly stressed the financial sustainability of our healthcare system, and we’ve treated animals like factory products, keeping them sick and confined and laden with antibiotics to keep them alive in hellish conditions. Now, whole foods are coming back in vogue, and more people are interested in where their food comes from, how it was produced, and what the ingredients are. To me, it seems investing in stocks is kind of like that. Convenience and cheapness in the form of index funds is a good thing, but we have to be careful about how far we go, and can’t just outsource everything. It’s a useful skill to be able to appropriately value, understand, and invest in a business, and it’s an ability worth cultivating. If we continue to detach ourselves from having any sort of active role or oversight in the largest businesses around the world, I think we’ll find ourselves with similar problems that we’ve found ourselves in with our food. S&P 500 indices are super-cheap, because they have such an enormous amount of assets under management. But once you start looking at international indices, or more specialized indices like dividend ETFs, the expense ratios go up a bit. Take NOBL for example; the ProShares S&P 500 Dividend Aristocrafts ETF. It charges an expense ratio of 0.35% per year. That might not seem like a lot, but if you have $250,000 invested in it, that comes out to $875/year in management fees. In contrast, buying shares of a dividend stock once per month in a reasonably-priced brokerage will cost about $5 per stock trade, or $60 per year. If you also sell a stock, say, twice per year, then that bumps up the annual cost to about $70 per year. Some brokerages like M1 Finance have $0 commissions. Investing in a nice little portfolio of dividend growth stocks is arguably the most cost-efficient way to invest. Although index funds are the most passive type of investment you can have, they’re not entirely passive. When you invest in an index fund, you’re relying on the investment decisions that people in the past have made, rather than avoiding investment decisions altogether. Specifically, most index funds and ETFs are weighted by capitalization, meaning that the bigger the company, the more weight the index puts into it. This means, for example, that S&P 500 index funds hold almost 10x as much Apple stock as UPS stock. This also gives them a momentum-tilt, because they hold larger and larger amounts of money in stocks that have already gone up in price. The majority of pure index investors are 100% invested in a momentum-based strategy. Ironically, it is active investors that determine the precise market capitalization of all companies, based on their buying and selling. Index investors then copy that market capitalization scheme for free. This works pretty well as long as the percentage of the market that is index stays below a reasonable threshold. The rarer way to make an index is to use an equal weight distribution, where you invest in all companies in the index equally. This gives the index a value-tilt, meaning that as shares of a company drop in price, the index fund buys more of them in order to keep the balance, and sells shares if they increase in price. The downside is that these funds are a bit more expensive, and they’re not available for all types of indices. I take a middle-of-the-road approach. I embrace the power of simple passive investing for over half of my portfolio. But for the other part of my portfolio, I invest in individual stocks. I want to know what my money is doing, want more investment income through dividend stocks, and I take ownership seriously and vote my company shares. Everyone knows about Warren Buffett, who went from upper middle-class to one of the richest men on earth due to his investing prowess. But there’s a true degree of genius there- something remarkable that is not easy to replicate. And in the beginning, he used a big scaling factor by investing other people’s money and getting a huge cut of it due to his performance, which earned him far more than he would have by simply investing his own money. Therefore, the most interesting examples of stock investors to me are the normal folks, like these two. Ronald Read was a janitor who amassed $8 million by investing primarily in blue chip dividend stocks, and left his fortune to a library and hospital when he died at the age of 92. His own family and friends had no idea he was doing this. He was a World War II veteran, worked as a janitor at JCPenney and served as a gas station attendant. Into old age, when he was quietly wealthy, he remained a regular guy, driving a used car and chopping his own firewood, but when he passed away, he left over a million dollars to his local library and several million to his local hospital. He owned shares of dozens of companies, including blue-chip names you know like Proctor and Gamble and JPMorgan Chase & Co., and mostly owned dividend-payers. His typical holding period was years and decades. Anne Scheiber worked for the IRS back in the 1920s, 1930s, and 1940s. Although she had a law degree and by all accounts was a solid worker, she was never promoted, and it is argued that the fact she was a woman and Jewish in that era was the key reason. Women having the right to vote was still a new thing back then, after all. Eventually she retired at the age of 51, and received a small pension and social security from then on. But that’s where the story begins. Over the next 50 years, she lived frugally in her New York apartment, read the financial statements of various companies, and invested in a number of blue chip dividend-paying companies. When she died at 101, she left $22 million to Yeshiva University’s Stern College for Women and Albert Einstein School of Medicine, for the purpose of providing scholarships to young women. She invested in things she knew about- companies that owned theaters and pharmaceuticals, and Coca Cola. Both of these investors used the highly tax-efficient method of buying and holding stocks for the long-haul. And both of them invested in companies they understood, that mostly paid growing dividends, and that had wide economic moats for long-lasting success. Neither of them ever had a high income, but through a combination of simple frugality and disciplined investing habits, they amassed millions. The only reason Anne’s fortune was bigger than Ronald’s was that she lived an extra decade, which allowed for more compounding. To start with, here’s a checklist on the top priorities to put money. Everyone has unique life circumstances, so this doesn’t necessarily apply to everyone. But it’s the path I followed, and is what I have recommended to friends and family. Retirement accounts should be prioritized due to their tax advantages. If you have the option to do so, gaining full employer matching from a 401(k) or Thrift Savings Plan is the highest priority, because it’s essentially a 100% return on your investment up front, assuming they give you the typical 5% matching if you contribute 5% of your salary. Also, it’s tax-advantaged and automatic; it comes out of your paycheck before you get your hands on it, which is a strategy called “paying yourself first”. The second priority is to open and max out a Roth IRA, assuming you are within the income limit. In addition to letting your money grow tax-free, this is a high priority because it’s more flexible than a 401(k) or TSP, because you can withdraw your principle without penalty at any time if you should need to do so. The third priority for most people is to max out a 401(k) or TSP. Not taking advantage of this tax advantage means leaving money on the table. There could be some exceptions, like if you are planning to retire super-early, or if your employer’s 401(k) plan is really bad, or if you’re strongly interested in real estate investing and want to elevate that on the list of priorities. The final priority, if you’re maxing out all of those available tax-advantaged accounts (or don’t have them available) and still have more money to invest, is to open a taxable brokerage account, or to invest elsewhere such as in rental properties. How much of a cash reserve or “emergency fund” you need depends on your life circumstances. The risk of not having enough cash lying around is that if you lose your primary source of income, or face an unexpected large expense, you might have to tap into your retirement accounts or tap into loans with interest. If you’re a homeowner, have multiple cars, have any rental properties, and/or if you have children, it makes sense to set more cash aside, because your sudden expenses could be bigger. If you’re a renter, if your spouse’s income could cover your expenses if you were to lose your income, if you’re carless, if you’re childless, or if you have a large amount of assets in a normal taxable brokerage account, you can get by on a smaller cash reserve. M1 Finance- This is my #1 recommended platform for most investors. It is commission free, totally without fees. You can invest purely in index funds (ETFs), or you can also incorporate individual stocks. It allows for easy re-balancing with the press of a button, and you can set automatic contributions that re-balance your portfolio. Fidelity Investments- One of the best all-around options, with low-cost index funds and a full brokerage for individual stock investing, ETFs, options, etc. Charles Schwab- Like Fidelity, this is one of the best all-inclusive brokerages. Tons of commission-free ETFs, and a full brokerage for more complex investments.